The Children's Inn is a free, supportive "home" to sick children and their families as they receive groundbreaking medical treatment from the NIH in hopes of finding a cure. 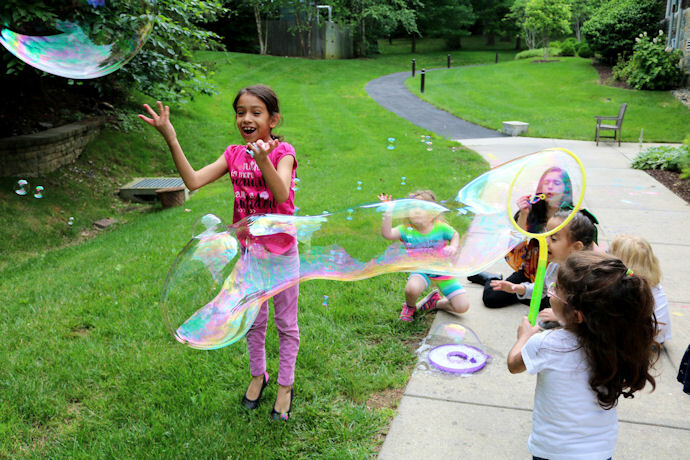 The Children’s Inn at NIH is a residential “Place Like Home’’ for families with children participating in leading-edge research studies at the National Institutes of Health (NIH) in Bethesda, Maryland. The NIH Clinical Center is the nation’s premier biomedical research hospital, providing an opportunity for our residents to be partners in advancing medical discoveries and improving the health of people all over the world. While the NIH takes care of the child’s medical needs, The Inn tends to the child’s heart, soul and spirit. Established in 1990, The Children’s Inn at NIH is a nonprofit residence for seriously ill NIH clinical trial participants up to age 30 and their families. 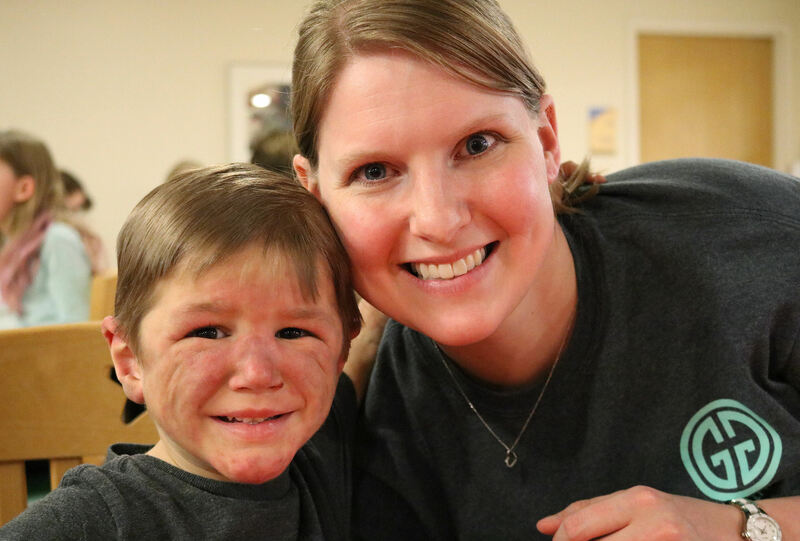 Our welcoming, 59-bedroom facility operates 24 hours a day, 365 days a year to provide a free, family-centered “place like home” that houses families from all over the world while their children seek treatment for cancer, rare diseases, and other life-threatening conditions. Last year, our services enabled 1,717 children and young adults to take part in nearly 300 different clinical trials, the results of which are the first steps to eradicating disease, easing pain, and making better lives possible for children around the world. Responding to evolving family support needs for pediatric research and clinical care. Providing resident services that are designed to support families in their natural care-giving roles, while promoting family living and community support. We provide community kitchens, reflection spaces, outdoor play equipment and much more. We make childhood possible for children who have already lived through more than most, and who don't have many chances to just play, laugh and be themselves. We know that childhood is about learning, growing and having fun, which is why we work to make every memory here at The Inn a great one. The Children’s Inn really makes a difference for a child’s entire family. We know that when a child is suffering, their entire support system feels it too. That's why The Inn offers services, activities and programs just for parents, siblings and caregivers. At the Inn, siblings get special attention with programs just for them. Some of these programs help them understand what’s going on with their brother or sister and some are just for fun. We recognize that parents and caregivers are the glue holding families together and they need rest too. So in addition to weekly shopping, a help-yourself pantry and easy connections to community life, we offer time and space for reflection, self-care and relaxation. For so many children participating in clinical trials, the National Institute of Health is their last, best hope, and none of the medical advances that happen at the NIH would be possible without the people who drive them: children, families and caregivers, clinicians and staff -- the community The Inn brings together. The children who stay at The Inn are true pioneers whose participation in NIH medical trials will change the story for children around the world. That is why when families come to The Inn we focus on the little things, so they can focus on the treatment plans for their child. As a partner in hope to families - and a partner in discovery with the National Institutes of Health -- The Children's Inn is a part of the cure. The Children's Inn recently expanded its age limit to 30 to ensure that older, long-term patients participating in pediatric protocols at the NIH continue to have a place to stay while on campus. 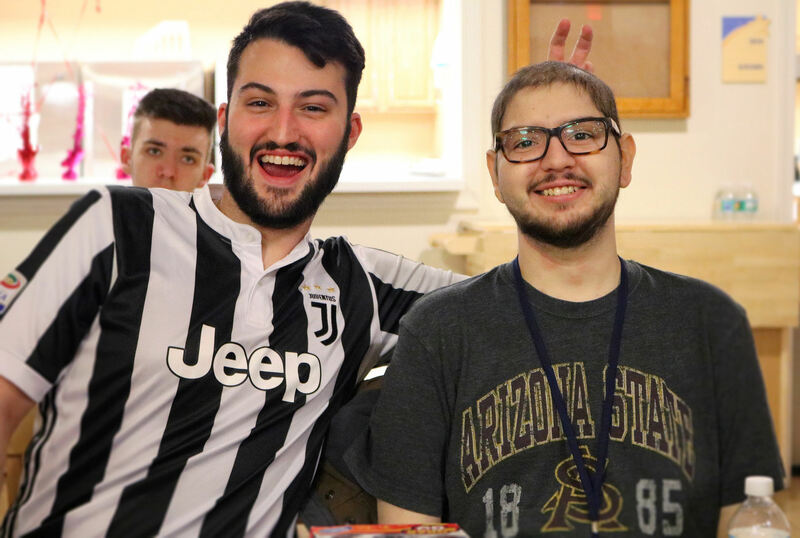 The Inn meets the unique needs and challenges of our teen and young adult residents through age-appropriate programming and scholarship opportunities. Since The Inn opened 28 years ago, more than 13,000 families have stayed at our facility while participating in groundbreaking medical trials at The NIH. Thanks to their participation, NIH researchers have developed successful therapies for many conditions that were once nearly untreatable, like asthma, AIDS, and many childhood cancers including leukemia. Researchers work tirelessly to continue making progress in disease treatment, and they rely on The Inn to care for children during their clinical trial participation no matter whether their visit lasts three days, three months, or more. The Inn’s free housing and support services empowers NIH scientists whose medical research today contributes to the discovery of tomorrow’s cures. During our 28 years of service, The Children’s Inn has taken seriously the responsibility to operate in a fiscally responsible manner, which we believe is vital to providing quality services to our residents. We proudly display the Better Business Bureau Charity Seal, having met all 20 rigorous “Standards for Charity Accountability”, and have been recognized by Charity Navigator since 2009, which indicates we fulfill our mission in a fiscally responsible way. Additionally, we were honored in 2010 as a finalist for the Washington Post Award for Excellence in nonprofit management, that includes outstanding achievement in financial management, risk management, and organizational planning. The Inn is a partner in hope to families. The Inn meets the unique needs and challenges of our teen and young adult residents. Childhood thrives at The Children's Inn. We offer families a free "place like home" 24 hours a day, 7 days a week, 365 days a year.